Milana wins an award at the 2017 Edgewater Arts and Music Festival! My student Milana was mentioned in October issue of Edgewater Residential. 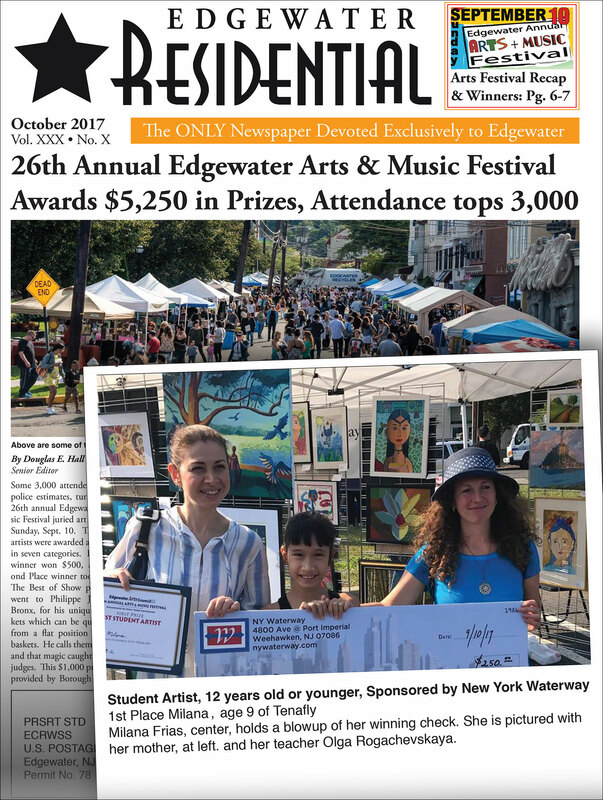 Congratulations to Milana for winning an award at the 2017 Edgewater Arts and Music Festival this year! Also congratulations to all of my talented students who showcased their artworks at this event. This entry was posted in Art Competitions and tagged art competition, art contest, art contest award on November 29, 2017 by Olga Rogachevskaya-Chu. We are closed on June 3rd due to HMart Art Contest. Please come join us and support all the kids participating in this wonderful event! This entry was posted in Art Contest and tagged art competition, art contest on June 2, 2017 by olgaadmin. 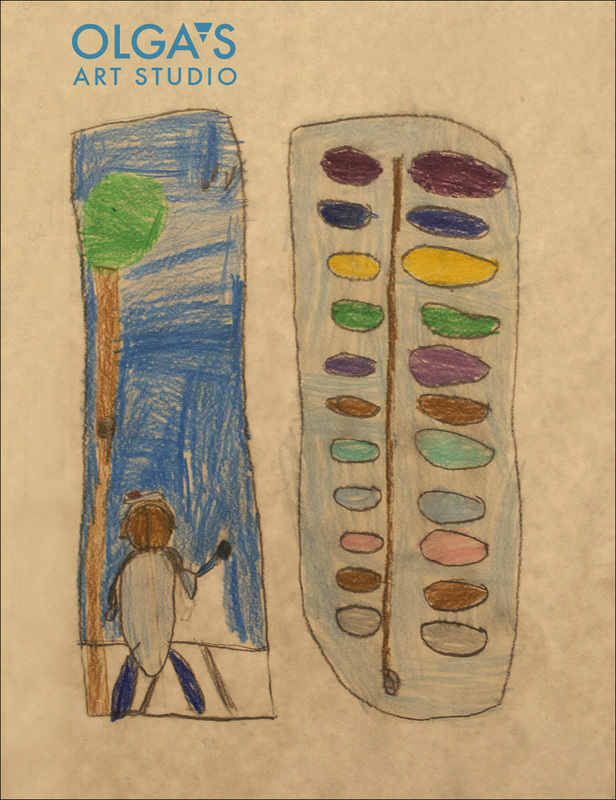 Congratulations to “Dream Big” Art Contest Participants! Congratulations to all our students who received awards this weekend at “Dream Big” Art Contest! This entry was posted in Uncategorized and tagged art contest, dream big art contest on March 5, 2015 by Olga Rogachevskaya-Chu. 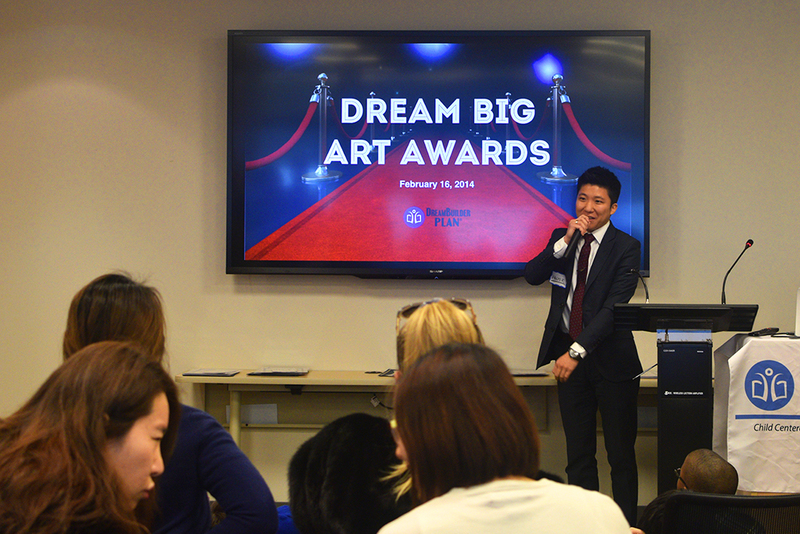 Olga’s Art Studio participated in 2014 “Dream Big” Art Contest. Several students created beautiful artworks and received Honorable Mention Awards. One of them is 6 year old Jake who painted himself as an artist. This entry was posted in Children's Artworks, Drawing and tagged art contest, children's art class, children's artwork, pencil drawing on March 5, 2015 by Olga Rogachevskaya-Chu.